Here is an interesting tale which encompasses a vast myriad of actors and shows how the history of the Himalayas intertwines containing threads that includes the various people living in and around the Himalayas. Around 1643 Tibet was a dependency of the Mongols and the Mongols played an important part in the power struggle between the various sects of Tibetan Buddhism who seemed to be engaged in a permanent duel. It was primarily a struggle between the Yellow hat sect and the Red hat sect. The Mongols were the military power who decided on the matter of which sect would come out on top in this struggle. The Mongol Gushi Khan, the ruler of the Dzungar Khanate, put his weight behind the Fifth Dalai Lama, who was the head of the Yellow Hat sect. But as a quid pro quo the whole of Tibet came under Mongol suzernity and was a welcome addition to the Dzungar Mongol Empire, an Empire which strecthed from Tibet to Kazakhstan to the Mongol steppes and well into Siberia. At that time it doesnt seem to have occured to the Mongols or to the Dalai Lama to subjugate Western Tibet (Ladakh) which was a seperate kingdom though which paid tribute to the Tibetan kingdom. But then circumstances played up and created a situation which caused the Mongols to cast their gaze on Ladakh along with their Tibetan allies. It so happened that the King of Bhutan was a follower of the Red Hat sect and this got him into a spat with the Dalai Lama who was the most dominant figure of the Yellow Hat sect and his Mongol allies. As it happened the King of Ladakh at that time, Delek Namgyal of the powerful Namgyal dyanasty sided with the King of Bhutan in this spat as the head Lama of Bhutan was his patron Lama as well. This incensed the Mongol Tibetan rulers of Tibet and soon an army was despatched to Ladakh let by a Mongol Lama named Tsang consisting of both the Mongols and Tibetans. 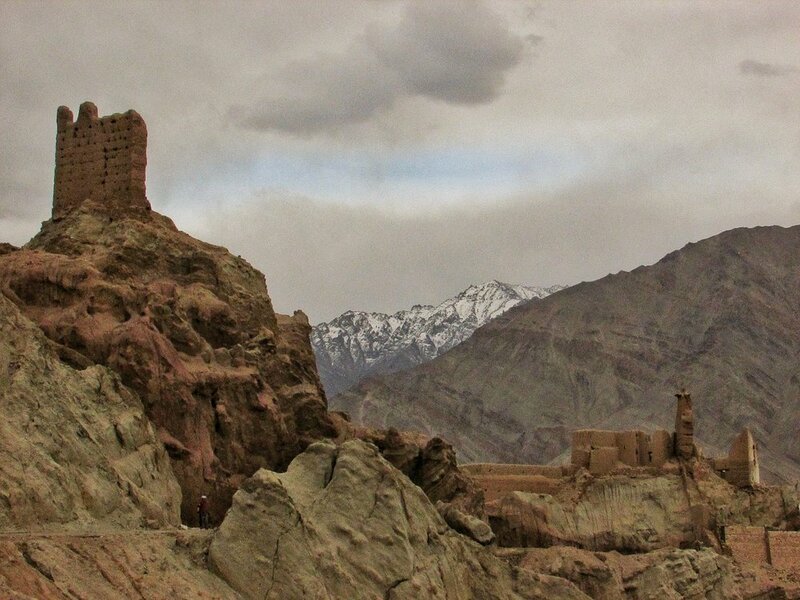 In the first engagement the Ladakhi Army met the Tibeto-Mongol Army near the Pangong Lake and were driven back to their capital and castle which at that time was at Basgo. It should be noted that the Raja of Bushahr, Raja Kehari Singh also supported the Tibeto-Mongol invasion as he wanted to recover parts of Kinnaur which were claimed by the Namgyals of Ladakh. 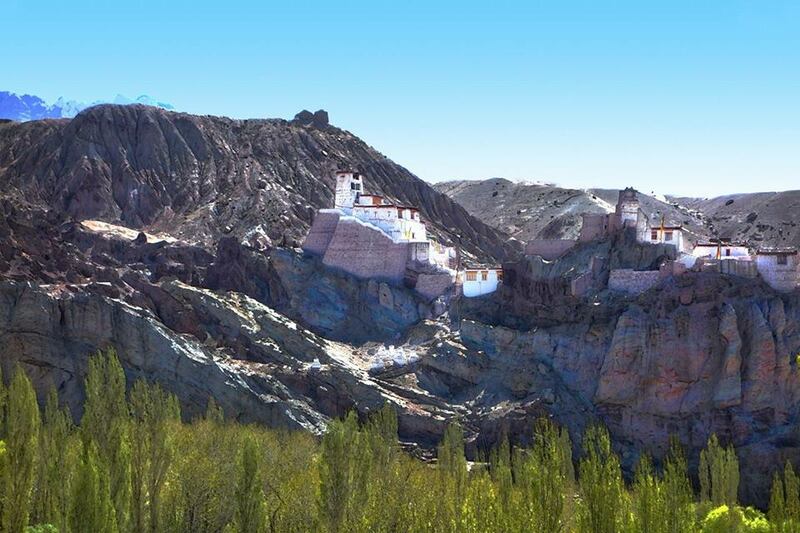 Finding himself in the midst of being surrounded in his castle at Basgo by the Tibeto-Mongol, the Gyalpo (Ladakhi word for the King) decided to ask help from the only power he knew could take on the Mongols and the Tibetans. He wrote to the Mughal Governor of Kashmir to come to his rescue in exchange for which he will switch his allegiance to the Moghuls instead of the Tibetans in the future. The Mughal Governor forwarded the request to Emperor Aurangzeb,who agreed to help on two conditions, first the Pashmina trade should be an exclusive Mughal preserve and the Gyalpo should convert to Islam. The Gyalpo found himself between a rock and a hard place. Atleast agreeing to the Mughla conditions would ensure that he had a good chance of getting through this crisis. Alive. He agreed and soon a Mughal force was despatched to take on the Mongols and the Tibetans. Interestingly the Mughals themselves were of Turkic-Mongol origin. Infact the word "Mughal" was the Persian word for the Mongols. Emperor Babur was himself a descendent of Timurlane and a princess of the Chagatai order. The Chagtais were descended from Chagatai, the second son of the Great Khan himself. The stage was now set for these Mughlas to meet on the field their long lost Mongol cousins. As a side act the Raja of Kullu, Raja Bidhi Singh, also sided with the Mughals, as Lahaul and Kullu used to pay tributes to the Ladakh kingdom and as such he was obliged to side with the Namgyals. On a side note the Raja plundered the Zanskar Valley while the stage was being set for the main engagement. The Mughal force crossed the Indus over two wooden bridges at Khalaste and marched towards Basgo. The two armies met at a plain called Jargyal between Basgo and Nimmu. This is referred to as the Battle of Basgo fought in 1679. And the battle hardened Mughals along with their Ladakhi and Kullu allies proved too strong for the Tibeto-Mongols and their Bushahri allies. 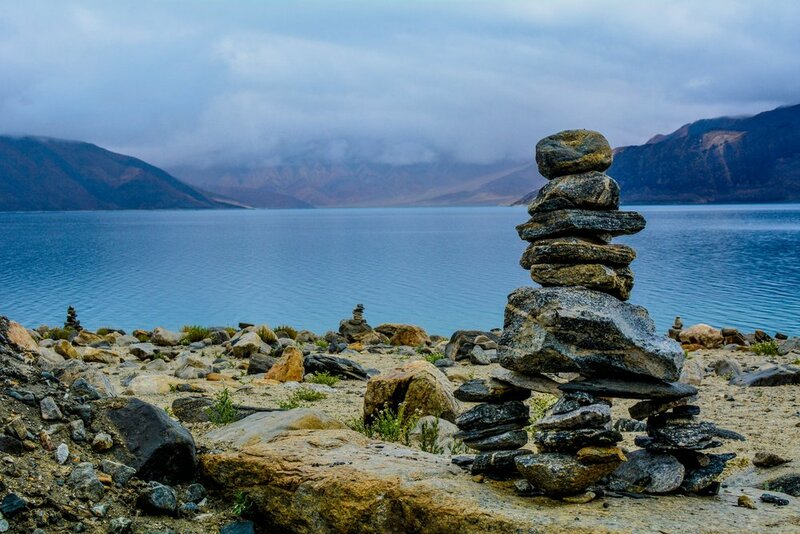 The Tibeto-Mongols were pushed back and routed all the way to Spituk where after a brief lull the fighting erupted again until they were driven beyond the Pangong Lake to a place called Trashisgang. They built themselves a Fort and shut themselves in and the Mughal Army now turned back, confident that the Tibeto-Mongols were gone for good. But of course Mongols being Mongols, they were wrong, but more of that later. In the meanwhile the Gyalpo had moved west to the Fort of Tinmogang, around 30 west of the Fort at Basgo. And the Mughals now turned up to get their pound of flesh. All the Pashmin trade rights were given to the Mughals and as per Mughal chronicles the Gyalpo converted to Islam and took on the name Akbat Mahmud Khan. As a guarantee the Mughals took with them to Kashmir as "guests" a few members of the Royal family including one of his sons. The Ladakhi chronicles however make no mention of his conversion to Islam. Maybe the King didnt want to reveal this fact to his subjects and especially to the Orthodox Buddhist Lamas who would get extremely incensed at the fact that their King converted to Islam. As per outside historians the King converted to Islam but this information was kept secret and not recorded anywhere in the Ladakhi chronicles. He simply could not afford to face the wrath of the Lamas. Having been satisfied and their conditions fulfilled the Mughals went back over the Zoji La to Kashmir leaving the Gyalpo in charge as before. Once the Mughals went back, the Tibetians with new re-enforcements from the new Dzungarian Khan, Galdan Boshugtu Khan, attacked again in 1684. This time the Tibeto-Mongols were victorious and the Gyalpo just didnt have the time or the inclination to call upon his Mughal allies and neither were the Mughlas perpared or interested in intervening again. In the aftermath a Treaty was signed between the Tibetans and the Ladakhis which set the border between Ladakh and Tibet and it restricted the Kashmir hold on the Pashmina trade only till Spituk. It also set the annual tribute that Ladakh had to send to Tibet. This fragile peace would hold on for another 150 years till General Zorawar Singh happened. Another story for another day. References : Francke : History of Western Tibet, O.C. Handa:'Buddhist Western Himalaya: A Politico-Religious History' and Vinayak Razdan who had written a Post on the same and I added more information to his Post.